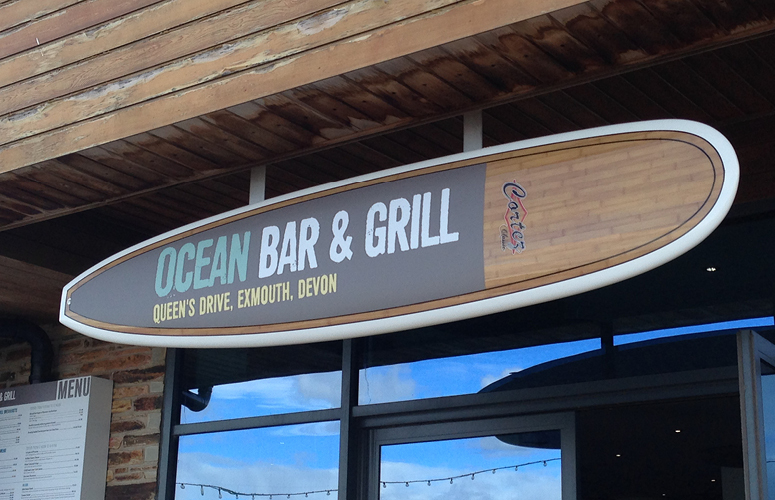 Ocean Exmouth is a large entertainment venue with facilities for the whole family. 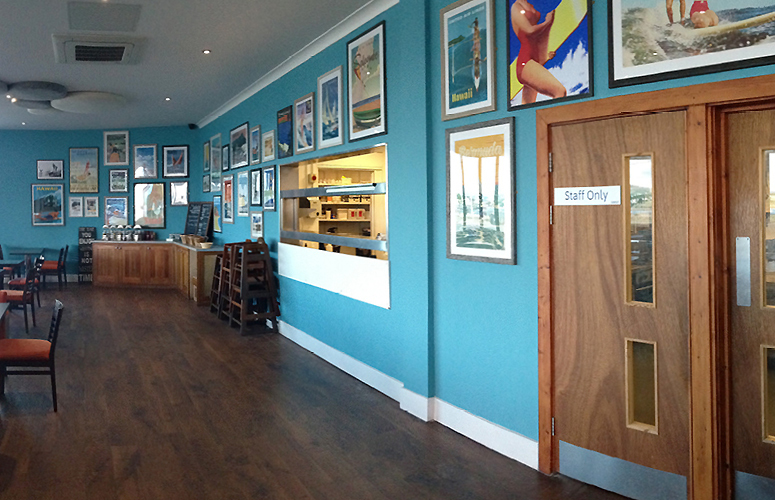 Located on the seafront in Exmouth, Devon they offer a range of food options, soft play areas and state of the art bowling alleys. 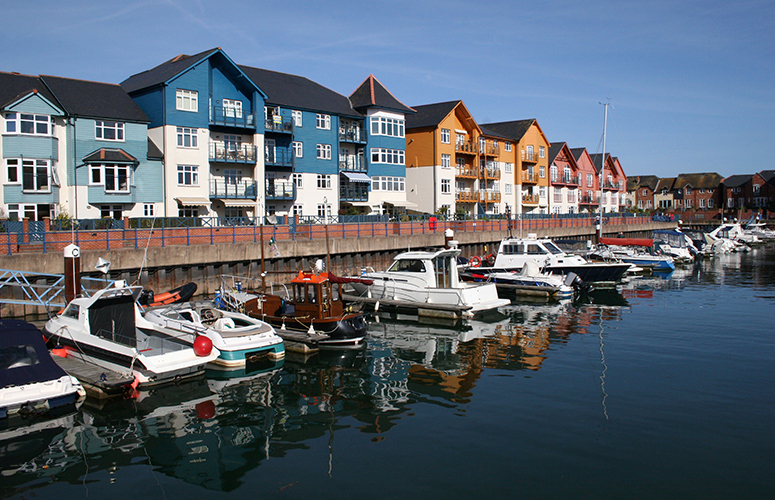 The venue is managed by LED Leisure, a leading charitable trust who operate a range of leisure and entertainment facilities throughout East Devon and South Somerset. 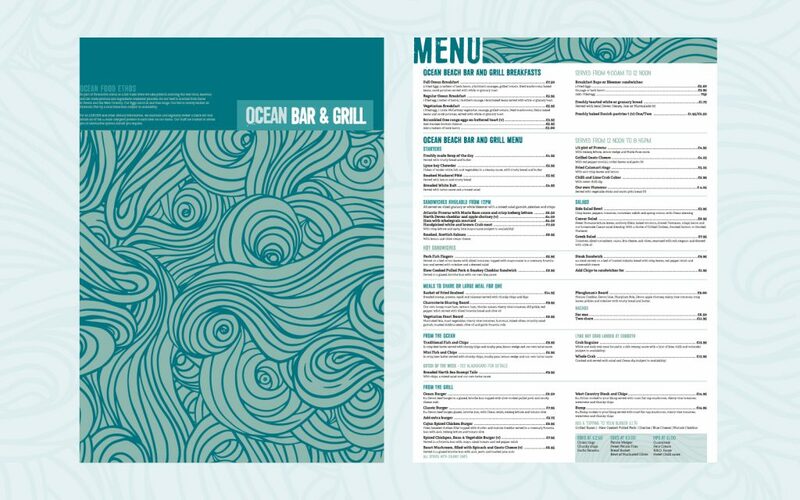 It was LED who contacted us as they were looking to create a new servery on the first floor of Ocean Exmouth and also refresh their Bar & Grill on the ground floor with new a new brand identity, interior finishes, signage and menus. 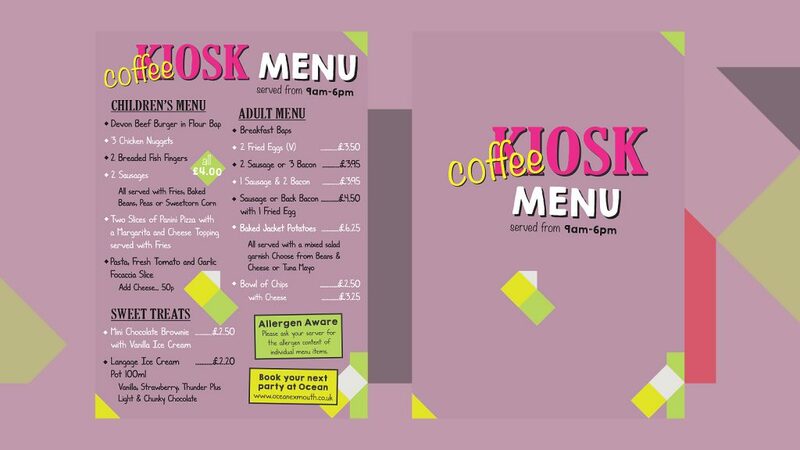 The servery on the first floor was given the name ‘Coffee Kiosk’ and our task was to transform what was originally a storage cupboard into a bright and eye-catching servery, that complemented the children’s soft play area it is adjacent to. 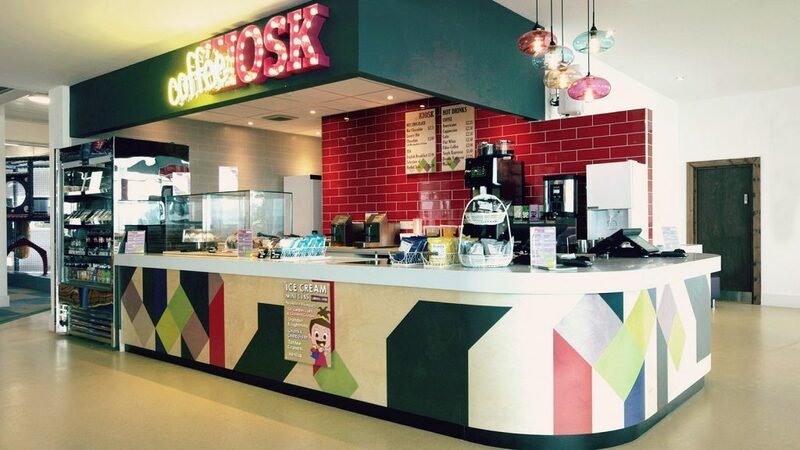 We designed the logo and a three-dimensional illuminated version now acts as the feature piece of the servery. 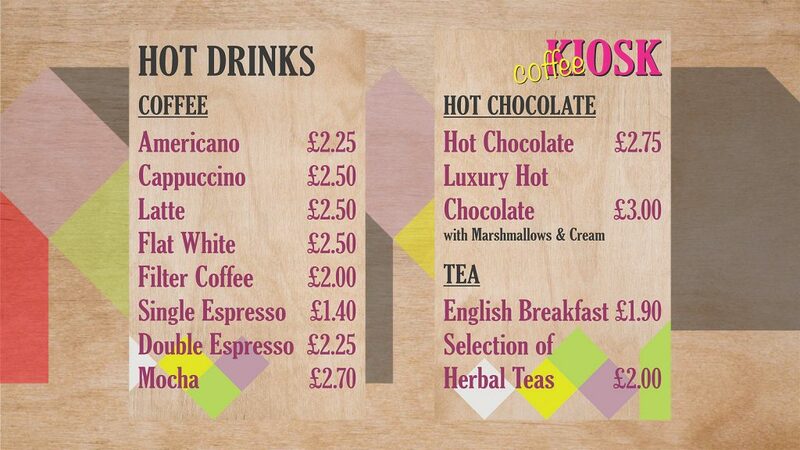 We also designed menus to advertise the food and drink offers available from the Coffee Kiosk. 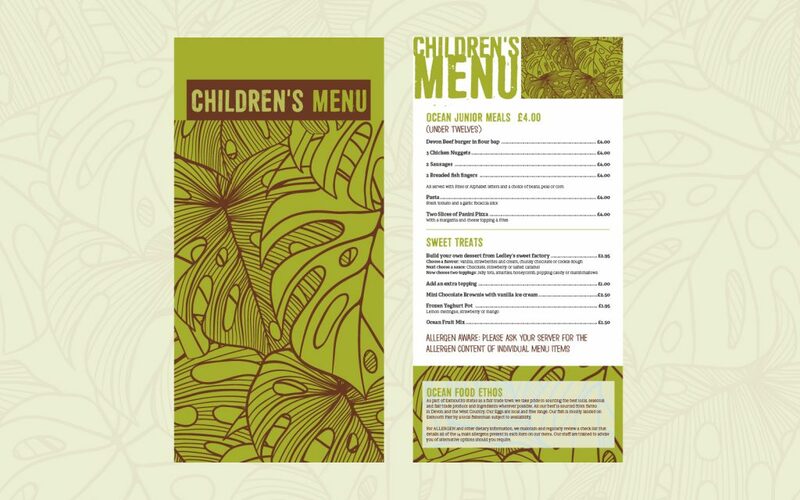 The design and re-fit process took less than ten weeks and the space continues to receive positive reviews from customers who can’t believe the vast transformation in such a short space of time. 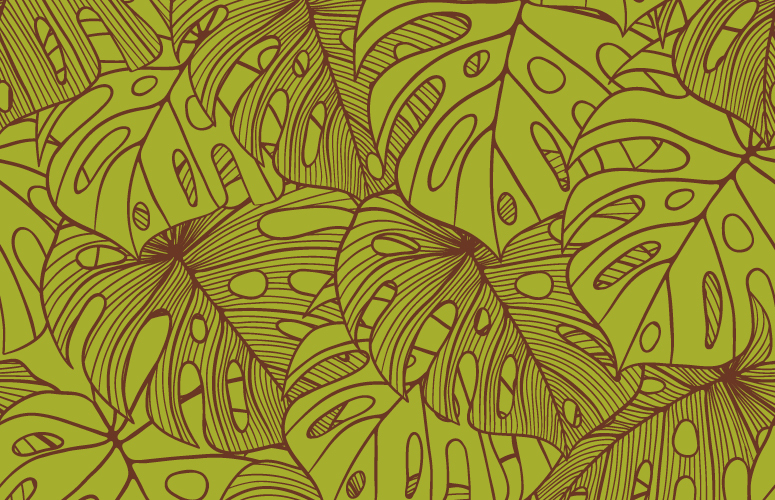 You can see what the space originally looked like in one of our blog posts. 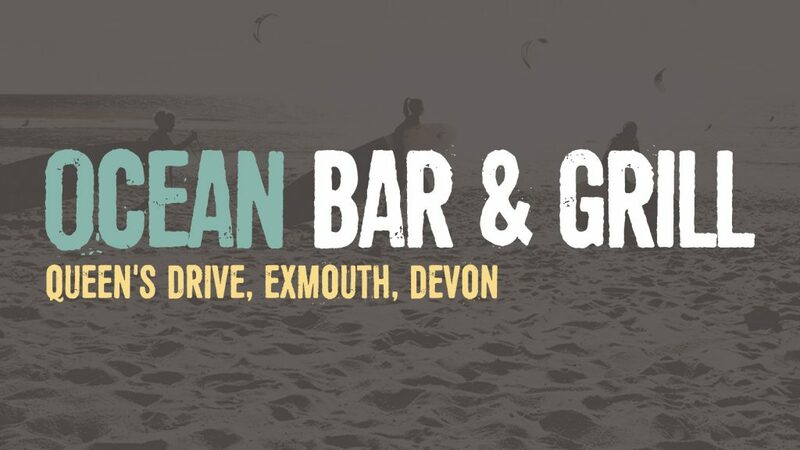 In addition the servery we were also tasked with creating a new brand identity and a selection of menus and signage for the Bar & Grill on the ground floor of Ocean Exmouth. 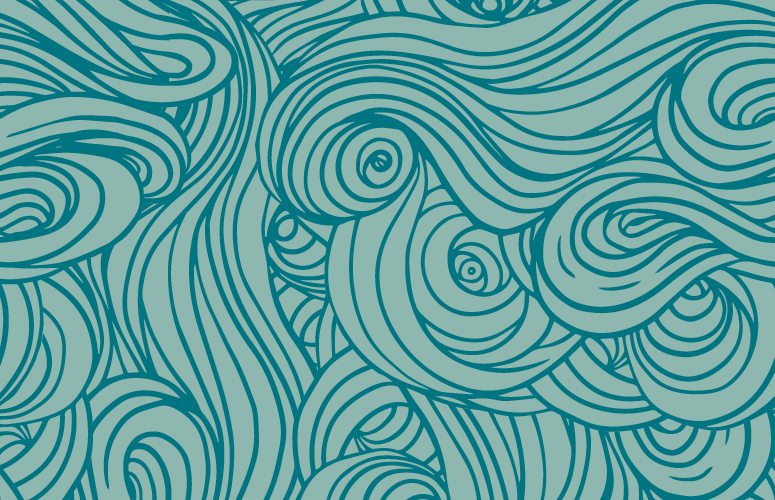 Working with a retro surfing theme, we applied the new logo we designed to a surf board, which is hung outside the main entrance of the building. 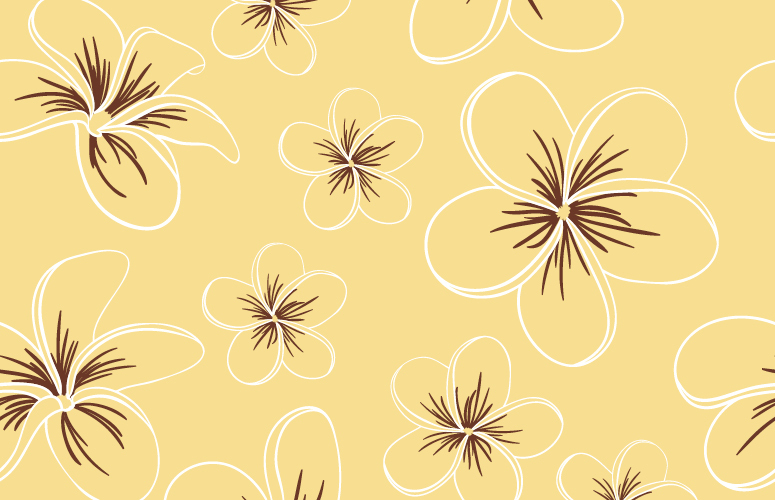 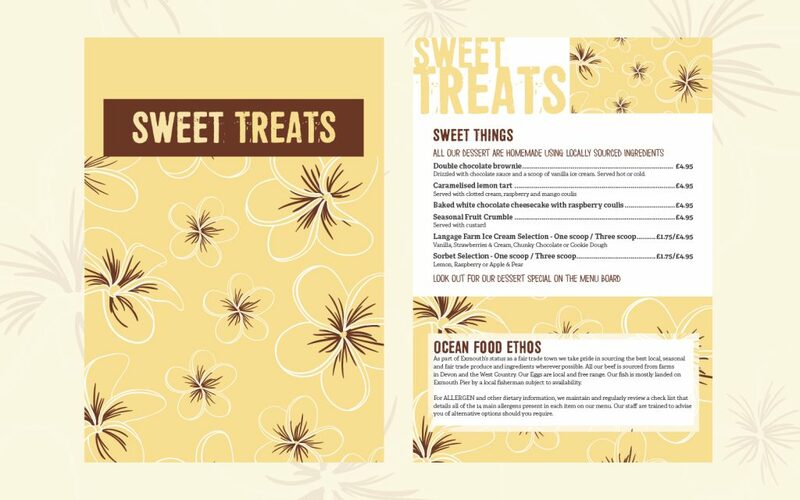 We also developed patterns which were used on the main, children and dessert menus and filled the walls with surfing posters.